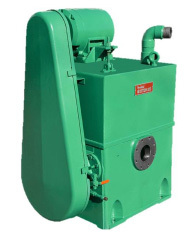 The Stokes 412H is an Oil Flooded Rotary Piston Pump that is well regarded as the workhorse of many industries, including Vacuum Heat Treating, Sintering, Vacuum Arc and Induction Melting, as well as many others. There are three versions of the Stokes 412H, including the first generation 412H-10. Although this was an excellent pump in its time, many of the parts both internal and external are no longer available. The second generation was the 412H-11 with a 6” inlet. This series received updated internal and external components that are still readily available and will be for many years to come. The third generation was the 412H-11 with a 4” inlet, which again has interchangeable parts with the 6” version. 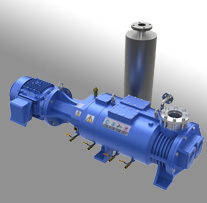 Currently, the 412H-11 4” pump is the most widely used of the 412H series. DID YOU KNOW? 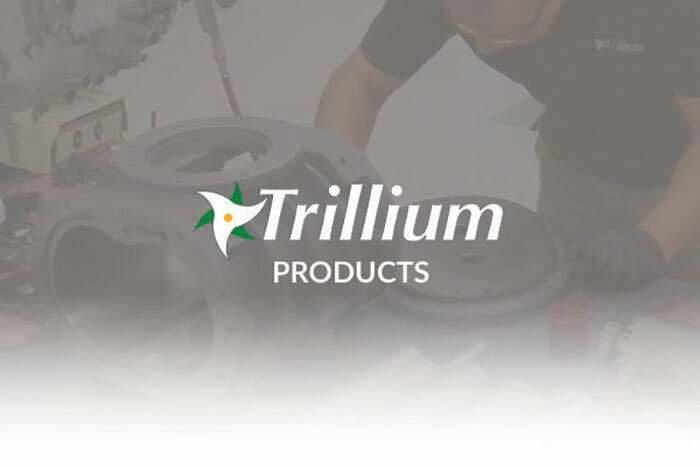 Trillium not only refurbishes but also services and repairs the Stokes 412H Piston Pump. Visit our Piston Pump Repair Page for more information. All 412H Series pumps share the same data below. Download the full manual below.